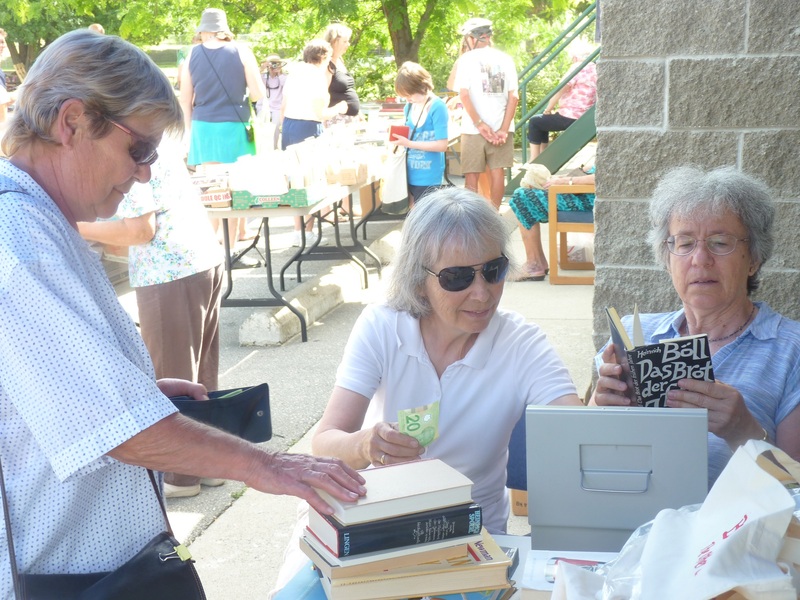 Friends of the Oliver Library hosts the Summer Book Sale on Saturday July 5 from 9 am to 2 pm. Pick up your summer reading: bestsellers, gripping novels, kids books, mysteries, romances, non-fiction. 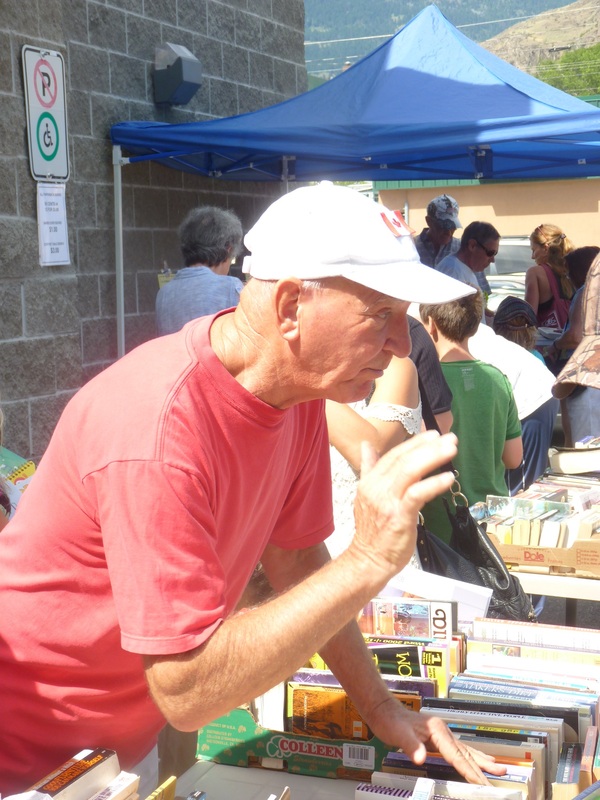 Val Friesen shares some great deals with a customer. Marianne Hutterli and Brita Park staff the sales desk. Hey! Brita! Stop reading the customers’ books! Happy customers leave with stacks of good reads.